Google has reportedly closed a deal to purchase Twitch to the tune of $1 billion, or about £588m, AU$1.06b. The word comes from Venture Beat sources who are "familiar with the matter." Google's purchase of the video game live streaming company was first rumored in May for the same amount. At the time, the Wall Street Journal reported talks were still in the early goings while Variety said the deal was due for an announcement in short order. Neither company has come forward to confirm the sale and the exact price isn't known either. However, it appears that like the previous report, Google-owned YouTube is spearheading the acquisition. Taking on a huge video game streaming business would be a coup for YouTube in the burgeoning world of spectator gaming. Twitch lets gamers, both casual and competitive, stream their play online. It's a popular platform; in February it ranked fourth in peak US internet traffic behind Netflix, Google and Apple. Twitch reached one million broadcasters that same month and counted more than 45 million unique monthly visitors. 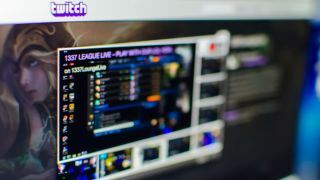 Integration with major consoles (namely the PS4 and more recently the Xbox One) as well as the growth of eSports have helped Twitch, a spin-off of Justin.tv, take off. Bring it in partnership with YouTube, the largest online video platform on the planet, and Twitch could be soaring in the streaming stratosphere before long.